Based in a comfortable consulting room in Constantia, Cape Town, Graham Thomas uses these highly creative and responsive states to help his clients make beneficial changes in their unconscious minds. Graham Thomas holds degrees in education and psychology from both the University of London and the Open University and diplomas in psychology and advanced Ericksonian hypnotherapy, psychotherapy and neuro-linguistic programming (NLP).He is a Member of the British Psychological Society and the Psychological Society of South Africa. 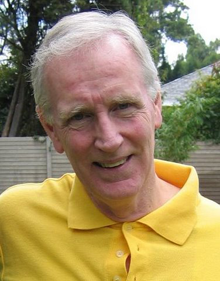 Graham has also served on various committees of the United Kingdom Council for Psychotherapy. He is a fully qualified, registered and experienced hypnotherapist and psychotherapist. He trained at the National School of Hypnosis and Psychotherapy. He is also an Accredited Hypnotherapy Supervisor.